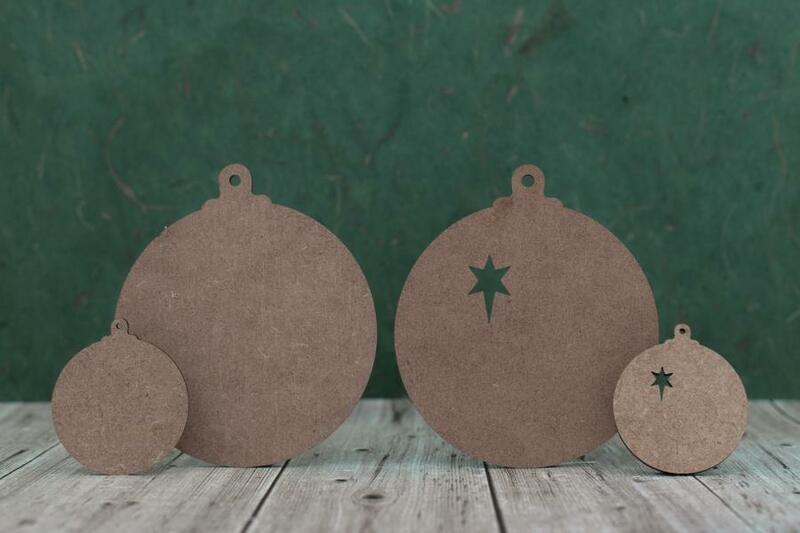 Bauble Craft Shapes - mdf wooden shapes for Christmas crafts. 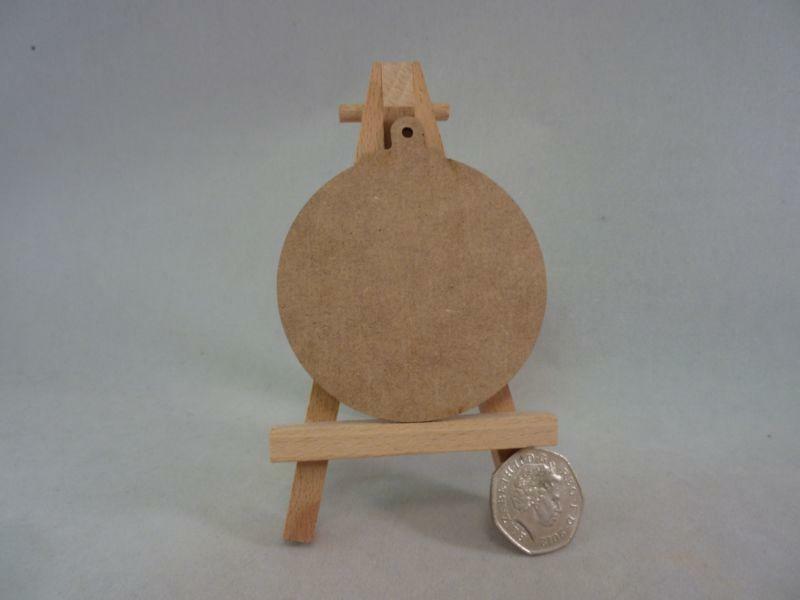 Blank craft shape, 2mm thick mdf. 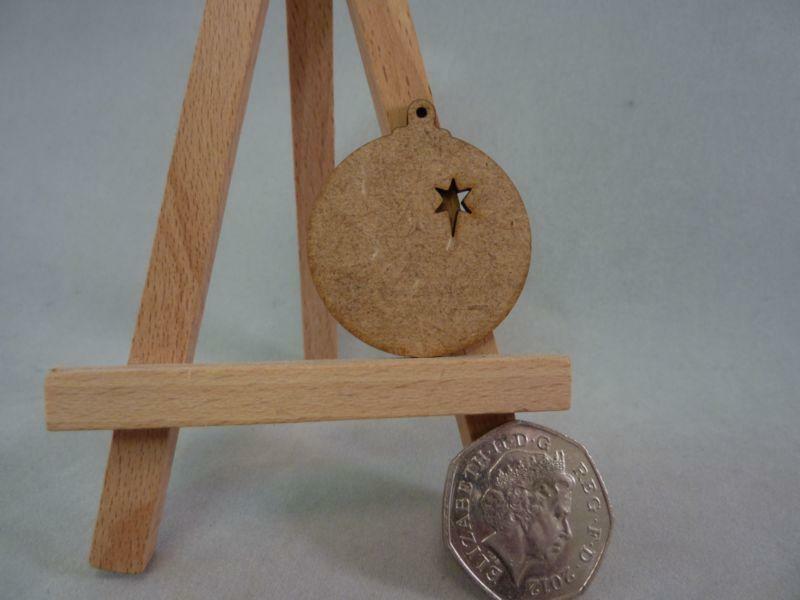 These bauble craft shapes are laser cut from 2mm mdf. 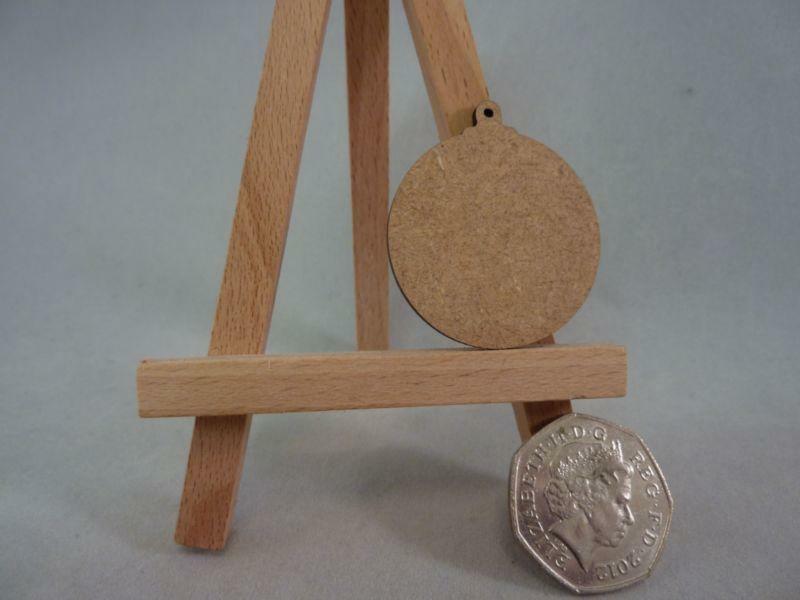 The shapes are lightweight and thin, and have a lovely smooth finish. There is an option to have a hanging hole or little star cut out. They are very easy to decorate, whether you use paint, decoupage, glitters, embellishing or pyrography. The bauble craft shapes also make great embellishments and can be stuck to your handmade cards or scrap books. 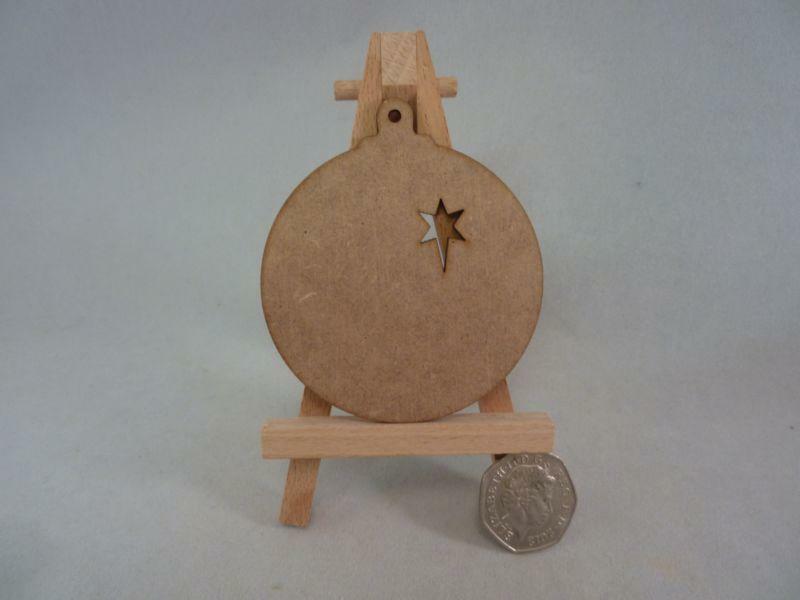 They are a versatile Christmas shape and a must have for your Christmas craft box.